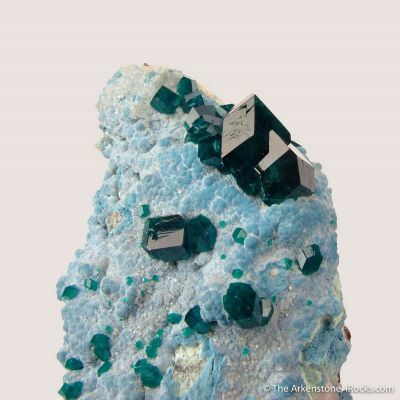 An old-time, showy and excellent combination toenail of deep, emerald-green dioptase crystals nicely accented by pastel blue-green plancheite botryoids from Reneville, Republic of the Congo. This piece was undoubtedly collected in the 1950s and this locality is now extinct. 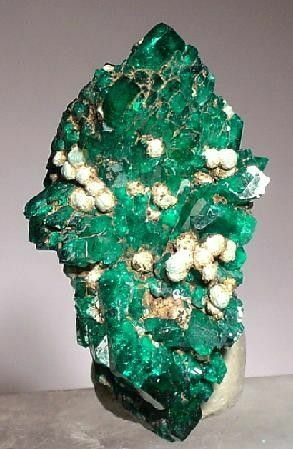 I like the pointed ends, covered with gemmy dioptase crystals. Ex. Jack Halpern Collection #2516.